August | 2011 | Another Beautiful Day in Paradise! I had a very pleasant surprise over the past couple of days. I had an occasion to contact a company’s customer service department, fully expecting to be shut down. Instead, I received prompt and effective information. Here’s the kicker; the brand went out of business two years ago! Three years ago, Mrs. P and I had our master bathroom remodeled. The work was done by our all-around handy-man who is an amazing story himself. The one step he did not complete was the doors on the under-vanity cabinets. He ordered the doors, but they would not be delivered until after the rest of the job was complete. Although he offered to come back to paint and install the doors, we told him we could handle it. Well procrastination is our middle name. The doors arrived in June 2008, but they have sat, untouched and unopened in their shipping box until this past weekend. Mrs. P painted them. 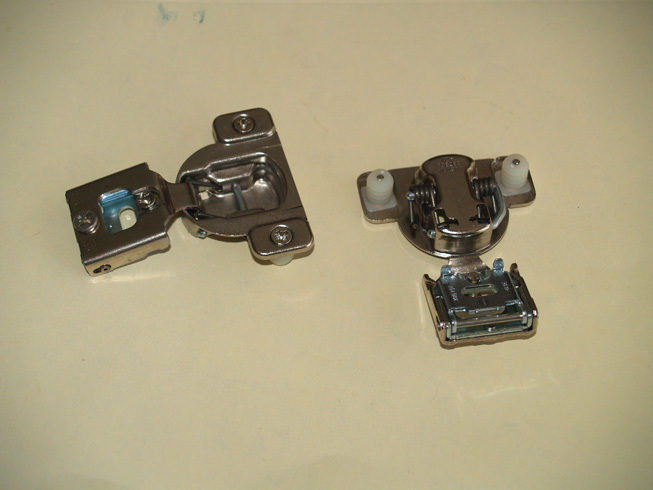 I took a look at the hinges that came in the package. I could easily see how they connected to the doors, but I couldn’t figure out how they connected to the frame. No instructions were included. When I Googled the manufacturer, I discovered the company has been out of business since 2009. They still maintained a Web page and an email address for warranty concerns. I sent them an email. I also discovered through that email that the division was part of a larger company that was still in business. So I went to one of the other brands and send them an email also. I really didn’t think I was going to get anything out of them, so I was very surprised when I received two emails and a phone call today, resulting from each of my emails. They sent me a diagram and installation instructions. So a big “attaboy” to Meagan and Debbie at Masco Cabinetry Company. Thanks for your help! A friend of mine sent me this TV commercial. I laughed so hard my stomach hurt. Enjoy. When I first heard about this idea, I thought it was a joke, and actually, when you step back and take a good look, it probably is. 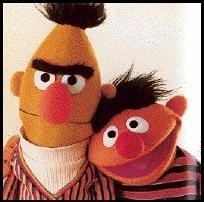 None the less, there is a group out there circulating a petition to have Bert and Ernie from Sesame Street declared gay and have them get married. I look forward to ideas like this because it gives me the opportunity to laugh and make fun of people. (Hey people, they are PUPPETS!) Fortunately, I think the chance of this actually happening is pretty close to zero. On the more serious side, here is one good reason this is a really bad idea. Sesame Street is a television program aimed at pre-school children. When I was that age, all I knew about the differences between boys and girls was that boys had short hair and wore pants, while girls had long hair and wore dresses. When my sisters were born, I discovered anatomical differences. However, aside from going to the bathroom, I had no idea of their uses. Maybe I had a stunted childhood but I suspect my view of the world as a three- or four-year old wasn’t unique. So why would you want to inject sexuality into a program aimed at very young children? I’ve already expressed my disgust over the amount of sexual content in mainstream television that airs in the early evening. What parent wants to discuss the concepts of homosexuality or gay marriage with a four year old? This is a bad idea, but hey, LGBTQ folks, you keep on trying. Laughter is good for the soul. As easy as (blackberry) pie! I know my faithful readers have been waiting with great anticipation for the results of my second effort at making a blackberry pie. I took another shot at it this past weekend, and the results were outstanding, if I do say so myself. Here is a recipe. As with anything I cook, it’s real easy. 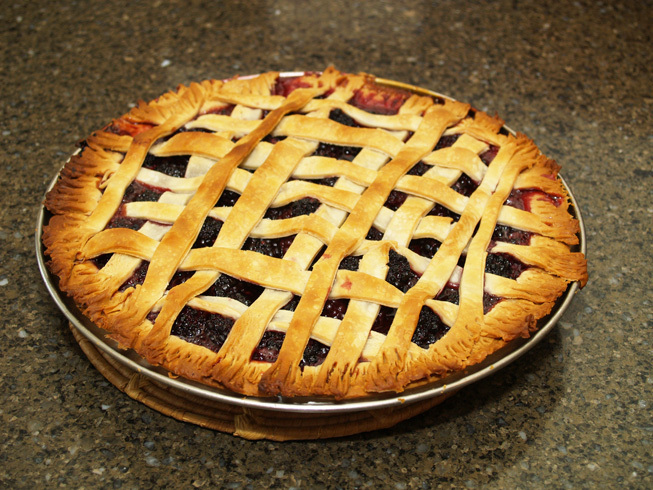 *The produce stand was out of fresh blackberries, so I used two 12 oz packages of frozen blackberries for my most recent pie. Thaw and drain well. If using fresh blackberries, rinse and also allow to drain well. –Preheat oven to 450 degrees. –Spray butter-based Pam on one pie pan. –Press one of the dough pieces into the pan. –Mix the blackberries, sugar, salt, lemon-juice and salt in a large mixing bowl. –Spoon the mixture into the pie pan. — Dot the top of the pie with small pieces of the butter. –Use a fork to press the top and bottom pieces together around the edge of the pan. Trim off an overhang with a knife. –Bake at 450 degrees for ten minutes and then reduce heat to 350. Continue cooking for 30 additional minutes, or until the crust is golden brown and the blackberry mixture is bubbling. –Allow to cool for at least 30 minutes before serving. 1.) Helpful hint to create a better lattice work topping than shown in the photo above. Lay out the pie all the strips going in one direction, but do not attach them to the edge of the pan. Then starting with the middle and working out to the sides, place the intersecting strips on the pie. Create the lattice effect by weaving the second layer over and under the stips of the original layer. 2.) The filling can easily spill over and make a mess in the bottom of your oven. When I turn the oven down to 350, I usually, place a piece of aluminum foil under the pie pan, on the rack below the one the pie sits on. If you do this, it will extend the baking time. Adjust accordingly. On a roll…t-p roll, that is. For some reason, I have taken note of some recent TV commercials, advertising, of all things, toilet paper. It is probably one of the least glamorous products to try to advertise. As important as it is to all of us, it is not easy to discuss. Here is one that caught my eye last week. The history of television advertising is full of famous and effective positioning statements. So where does this implied slogan fit in? And here is a trend that I missed out on completely. Apparently, there legions of people who consider a roll of toilet paper unsightly. 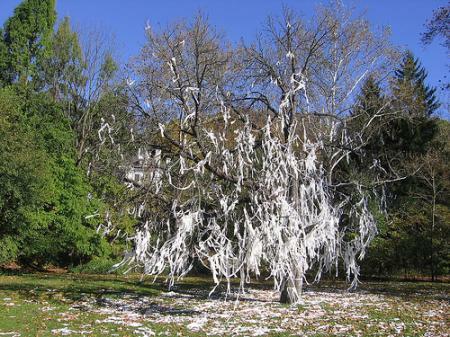 I know it doesn’t look very good on a tree in your front yard, but on a roll in your bathroom? It would have never occurred to me. Maybe that’s why I’m not making the big bucks in the TP industry.